As November winds down, recent information from the Willamette Valley Multiple Listing Service (WVMLS) suggests one Keizer home sale will stand out as the most expensive for the month. However, the property features over 2 acres, a 48 x 60 custom garage/shop, plus a house with more than 3,800 square feet of living space. So this recent sale involves a bit more than the usual home, which helps to explain the higher-than-usual price. 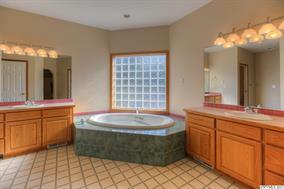 Located on Wheatland Road NE, the house also features 4 bedrooms and 4.5 bathrooms. 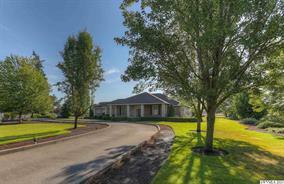 According to WVMLS records, the final selling price for this Keizer property is $646,200. Priced earlier at $699,500, it was on the market more than a year before ultimately closing on November 21st, 2014. Thinking about selling your Keizer, Oregon home? 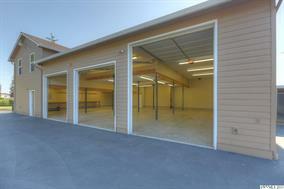 Family-owned and operated for 64 years, Certified Realty sells Keizer real estate in every price category. For a FREE report on what your Keizer property could sell for, contact Certified Realty using the convenient contact form below. This entry was posted in Keizer, Keizer Homes, Keizer Homes For Sale, Keizer Homeseller, Keizer Homeselling, Keizer Oregon Home Prices, Keizer Oregon Homes, Keizer Oregon Properties, Keizer Oregon Real Estate, Keizer Properties, Keizer Real Estate, Keizer Realty, Most Expensive Keizer Home, Most Expensive Keizer Oregon Home, Priciest Keizer Home and tagged 97303, 97307, Keizer Homes, Keizer Homes For Sale, Keizer Homeseller, Keizer Homeselling, Keizer Oregon, Keizer Oregon Homes, Keizer Oregon Housing, Keizer Oregon Properties, Keizer Oregon Real Estate, Keizer Properties, Keizer Real Estate, Keizer Realty, Most Expensive Keizer Home, Priciest Keizer Home, Salem-Keizer Real Estate, Spendiest Keizer Home. Bookmark the permalink.